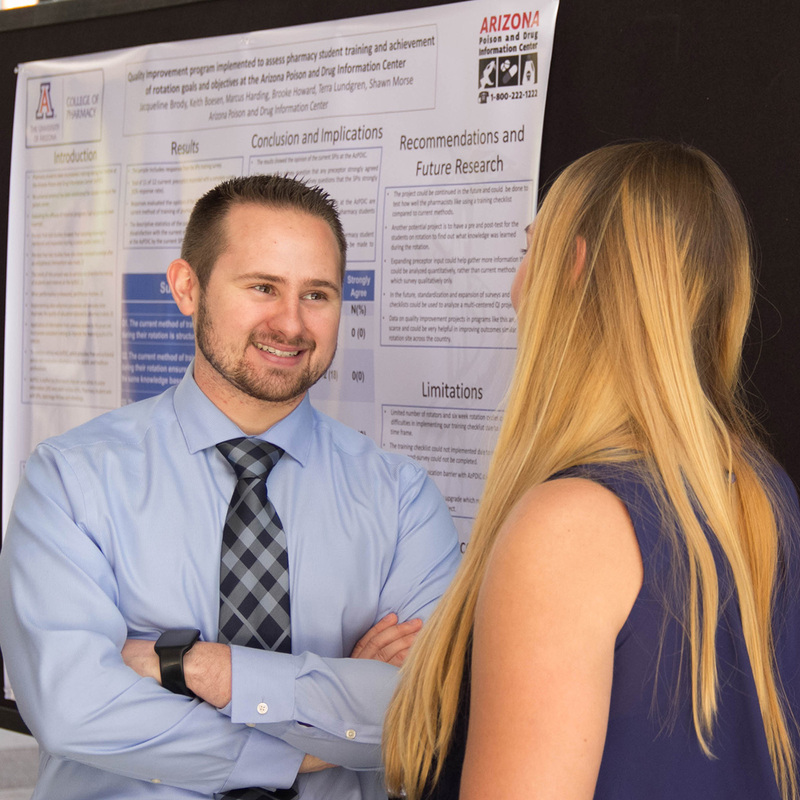 Graduates from the University of Arizona PharmD program are leaders, entrepreneurs and patient care problem solvers. You're serious about preparing for admission to our PharmD program! Here are some more words of advice as you get ready to apply. The PharmD Handbook provides forms, policies, procedures and information for students and faculty. Leaders. Collaborators. Patient Care Problem-Solvers. Our students and alumni are who we are most proud of, relentlessly seeking to expand their experience and clinical knowledge—and successful at doing so. Learn more about our exceptional students, the faculty who teach them and the work they are pursuing post-graduation.